The qualified small employer health reimbursement arrangement (QSEHRA) is a strong choice for many small businesses looking to offer health benefits. With a QSEHRA, businesses can control their budget by choosing a monthly allowance of tax-free money to make available to employees. Employees can then purchase the health care they want, and the business will reimburse them up to their allowance amount. Thanks to this unique structure, the QSEHRA allows businesses and their employees a greater degree of freedom than they’d get with a traditional option like group health insurance. Like all benefits, though, there are some rules—including deadlines. In this post, we’ll discuss the deadlines your business and employees should know when using the QSEHRA. There is no deadline for offering a QSEHRA. Though some businesses choose to begin their QSEHRA with the calendar year, many more start offering the QSEHRA as soon as they’re able. That often happens midyear. As soon as your business decides to offer the QSEHRA, it may do so. This is often easier with a QSEHRA administrator like PeopleKeep, which can automate plan documents and other necessary items. The 21st Century Cures Act, which created the QSEHRA, requires businesses offering the benefit to send employees a written notice by a given deadline. For existing QSEHRAs, businesses must send the notice at least 90 days before the start of each calendar year in which they’ll offer the benefit. For example, if you’ll continue to offer the QSEHRA in 2020, you must send the notice by October 3, 2019. For new QSEHRAs, the notice must be sent at any point prior to, and including, the day the QSEHRA goes into effect. This also applies to employees newly eligible for an existing QSEHRA. To receive QSEHRA reimbursements tax-free, employees must have minimum essential coverage (MEC). Many employees participating in the benefit get this coverage by enrolling in individual health insurance. For most, this happens during open enrollment every year. The next open enrollment will take place November 1, 2019, to December 15, 2019. After this deadline, individuals will need to experience a qualifying life event in order to trigger a special enrollment period (SEP). At this time, becoming newly eligible for a QSEHRA isn’t a qualifying life event. However, in 2020, all individuals newly eligible for a QSEHRA will have access to an SEP in order to purchase individual health insurance. Employees participating in a QSEHRA can submit for reimbursement an expense incurred during that plan year at any point during the plan year or during the 90-day runout period following the close of the plan year. For example, if your 2018 plan year ran from January 1, 2018, to December 31, 2018, your employees would have until March 31, 2019, to submit expenses incurred during that period. 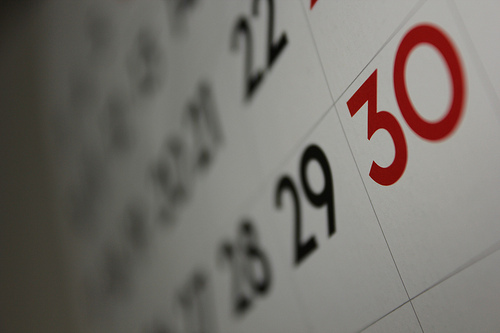 The 90-day runout period also applies to employees who become ineligible for the benefit. This may occur when an employee experiences a change in hours worked, leaves the company, or is terminated. In this case, individuals have 90 days from the date they became ineligible for the QSEHRA to submit for reimbursement expenses that were incurred during that plan year. The deadline for businesses to reimburse employees for an approved expense is outlined in the company’s QSEHRA plan documents. In most cases, these documents will require businesses to issue reimbursement for approved expenses within 90 days of receiving them. Offering a QSEHRA provides significant value to both small businesses and their employees. Because the benefit comes with several moving deadlines, though, it’s best to run your QSEHRA administration through a tool like PeopleKeep. With PeopleKeep, employees’ expenses are reviewed and approved within 24 hours and software notifies you when it’s time to issue reimbursement. PeopleKeep also automates several other aspects of QSEHRA administration, including real-time plan documents and customer support. Learn more about PeopleKeep here.